Bring Thrive Sports to any park, gym, or schoolyard in any neighborhood at any time, and within thirty minutes we'll organize group games, skills and drills clinics, or tournament play. Basketball, baseball, football, soccer, punchball, skully — you name the sport and we can teach it. 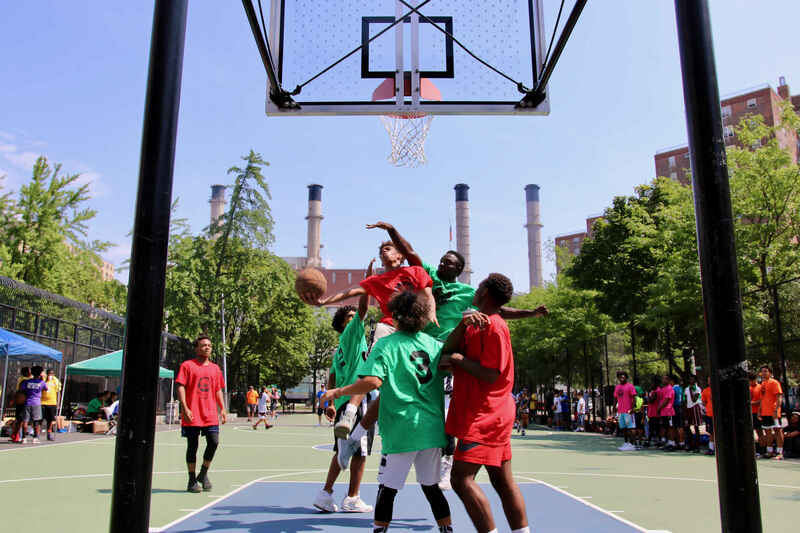 Your investment supports spring training clinics, champions league tournaments, and even old-fashioned structured play that promote fitness, sportsmanship, and teamwork in New York City's inner city neighborhoods. Thrive's coaches passionately integrate sports and life skills to build character and performance in student athletes.